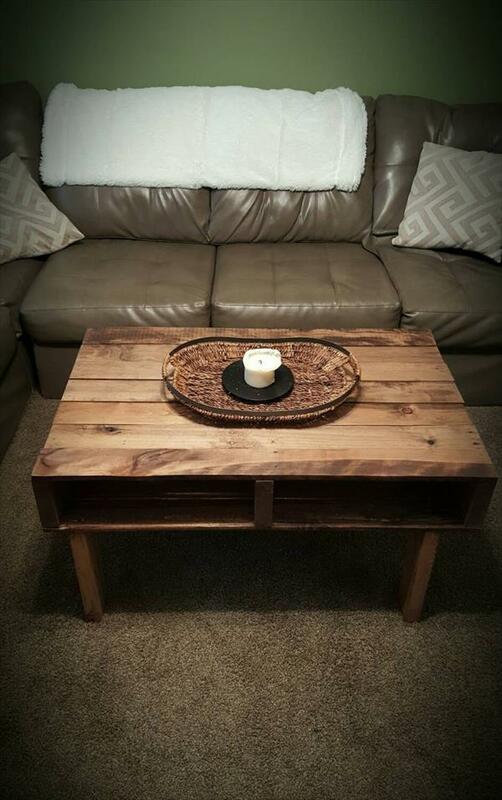 We just can’t miss a coffee table while organizing a space for sitting; it is the mean ingredient and plays a vital role in this case! It really takes over when we intend to serve some refreshments to our seated personages or to add some decors to our seating plans! 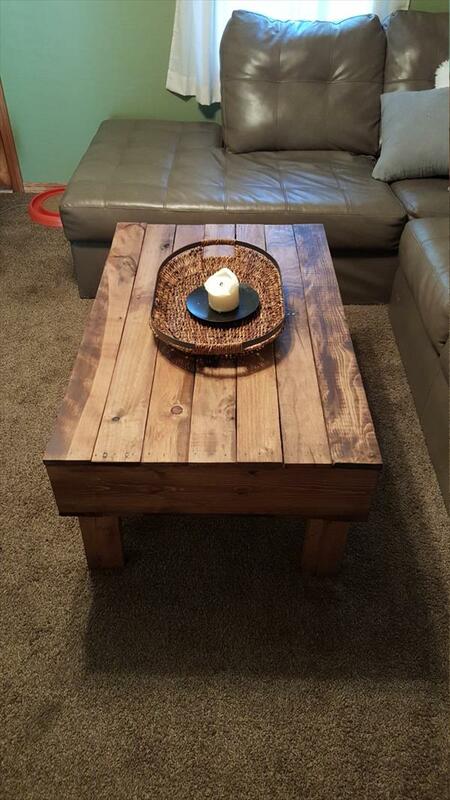 If high-priced market versions are beyond your budget limits and inflated market furniture prices are really annoying you then you can go with self-made DIY pallet antique coffee table which is just timeless to build with those rustic shipping skids always sitting around you! Just stack 2 of well cleaned pallet boards and build a bunk shape, storage cubbies will come out as a bonus to store some of your items inside that is also a plus point of most of pallet made furniture pieces! Finish the table with wooden legs and get those rolling hardware casters to make it effortlessly move to either direction and also to avoid the scratches on home floors! 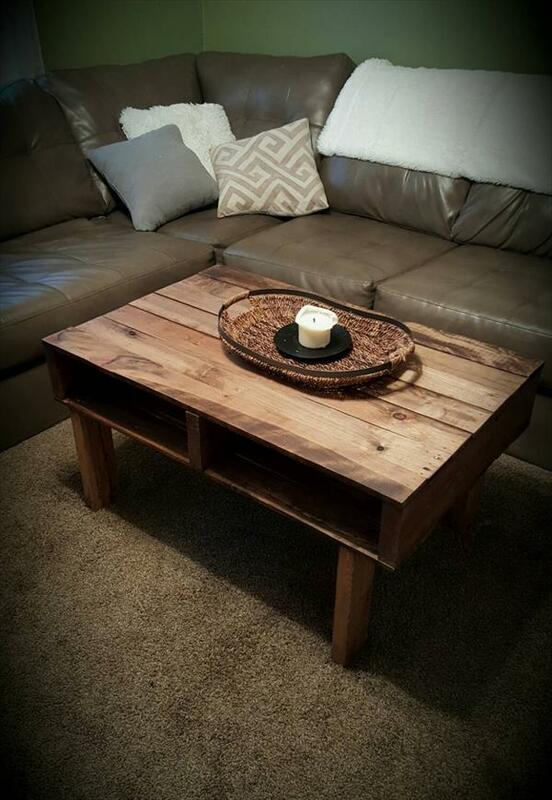 Protect the wood with a top stain coat and also sealed the wood to withstand the beverage spills and bad weather!